Sincerely Having A Dynamic Optimistic Wonderful Self-Esteem (S.H.A.D.O.W.S.) got the opportunity to visit the Martin Luther King, Jr. Memorial, Rosa Parks Exhibition, a Capitol Tour of the Smithsonian National Museum of African American History and Culture, Howard University and Six Flags America Park of Maryland, MD. S.H.A.D.O.W.S. was greeted on April 1st by Local Artist of the Low Country Richard Law who took part in the fundraising project sending the youth to Washington on an educational and fun trip. Richard Law designed a 2013 calendar with a collection of his Black art work a percentage from the sales of the calendar went towards S.H.A.D.O.W.S. Trip. S.H.A.D.O.W.S. founder Debbie Moore was excited about the beauty of the calendar and very appreciative that the artist Richard Law featured the youth on every page of the calendar months. Ms. Moore is looking forward to working with Richard Law in the near future. 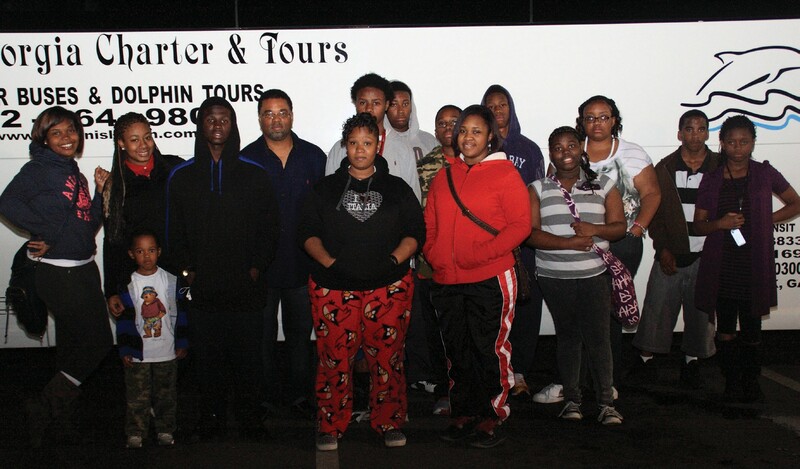 S. H. A. D. O. W. S. boarded a 2011 motor coach with 51 passengers for the 4 days and 3 nights headed for Washington, D.C. The group stayed the Towne Place Suites by the Marriot in Linthicum, MD upon checking out the hotel the manager told the youths they were welcomed any time in his hotel they were the best well behaved children. S.H.A.D.O.W.S. also had an invited Capitol Tour courtesy of Monya Baldwin, Washington D.C. Congressman Jack Kingston also sent a congratulatory letter to S.H.A.D.O.W.S. What an exciting Trip! Special thanks to our sponsors and our S.H.A.D.O.W.S. Youth Members: Barbara Clark ,Darius Mann, Jalaine Mincey, Iijah Pace, Gabbi Moore, Shai Patterson, Raquan Moore, Charles Sheppard, Regine Stephenson, Johnnie Taylor and Keymari Moore Thanks is also extened to our S.H.A.D.O.W.S. Little People: Zyon Smalls, Jada McCullough, Zahira Williams, Zaleah William and Enaysia Jackson. We also extend special thanks to S.H.A.D.O.W.S. Founder & Director, Board Members, Staff, Parents, Chaperons, Colleagues, Family, Friends and also to the VIP.